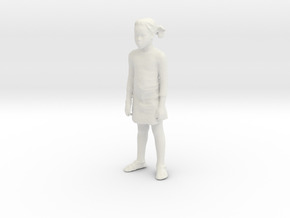 Printle offers a wide variety of models, objects and humans (mostly made from bodyscanning of real people). 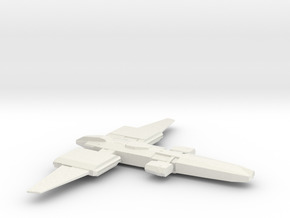 To discover models, type 'Printle' in the Shapeways search bar. 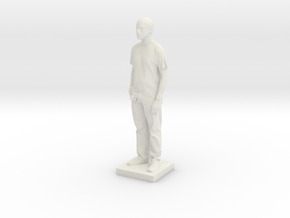 Figurines are splitted in 3 ranges : C (Concrete), V (Virtual), F (Famous). If you search a human, add 'Homme', 'Femme', 'Couple' or 'Kid'. For an object, type 'Thing'. 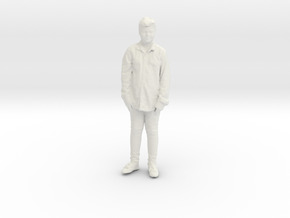 If you want a human model without base, type 'wob'. 2 type of tags for deeper search : position (Walking, Running, Climbing, Standing, Sitting, Lying) and type of wear (Historical, Casual, Business, Comics). Scale can be added to query (1/18, 1/20, 1/24, 1/32, 1/43.5, 1/64, 1/72, 1/76, 1/87). Visit my PRINTLE SHOP, have a look at originals colored and get updates with PRINTLE SHOWCASE ! Also have a look at Printle on the Web and Facebook Printle page to receive last updates !